By using crop tool a portion of the image can be improved. With this an area of the image can be marked also. 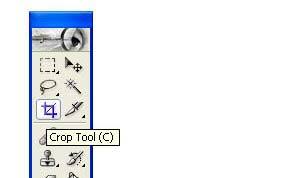 Crop Tool is just below the Lassoo tools. Cropping is the process of removing portions of an image to strengthen the composition,similarly we can crop an image using crop tool. We can increse & decrese the file size by this tool. 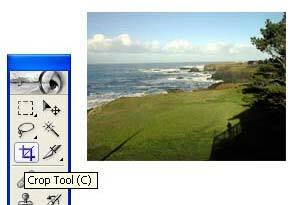 Select the crop tool and set the mode of crop tool. After selecting crop tool,click the tool on any one corner side of the required cropping image and drag it to your desired position. For example if we want to crop this image, just import the image first. Select the crop tool,click the tool on any one corner side of the image and drag it upto the desired area and size. The following shape appears after selecting. 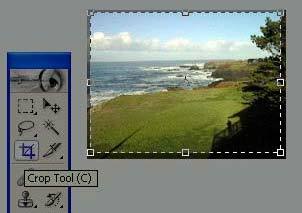 After selecting the area, to crop,click on the move tool. 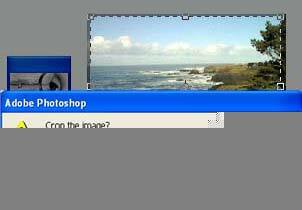 A message box will appear asking whether to crop or not to crop. If we clik crop,this will be the final result.